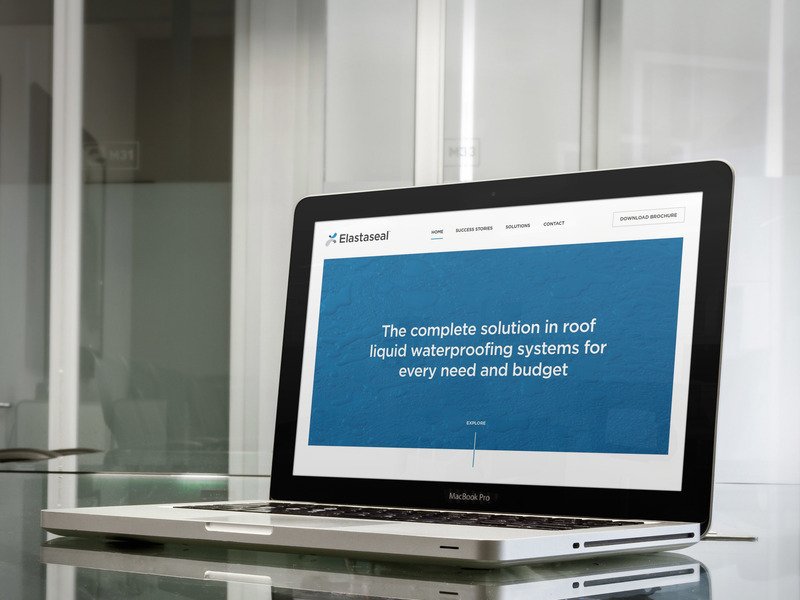 Elastaseal make liquid watertight roof sealing solutions for every need and budget. We know a lot of people still see white space and view it as an emptiness that should be filled post-haste. In fact, studies have found that an increased use of white space on a page can increase a visitor’s comprehension of the page content by up to 20%. With this in mind we wanted to create Elastaseal a fresh site with clear navigation, accessible product information and obvious CTAs. This will avoid bombarding the user and allow them to easily digest the information on offer. We also used imagery to break this up. We made a feature of the previous happy customers’ testimonials on the Success Stories page. Having limited content elsewhere on the site means users are more likely to read these case studies and then take the next obvious step. This is either to get in touch to make an enquiry, submit your email address or download the brochure. We hope that this new website continues to work well for Elastaseal and that we can carry on helping them in the future. If you’d like us to help simplify your online presence then please drop us a line.